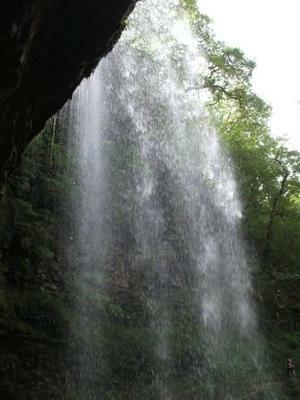 The film buffs amongst you might recognise this fall Sgwd Henryd as it was used as a location in the latest Batman film The Dark Knight Rises. 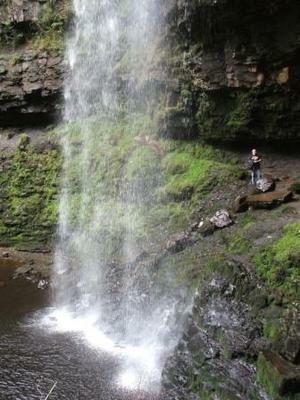 At over 90ft this is the highest fall in South Wales and the really nice thing is that you can go behind it. To ensure a good torrent of water the film crew made a temporary damn upstream and then released it for filming. 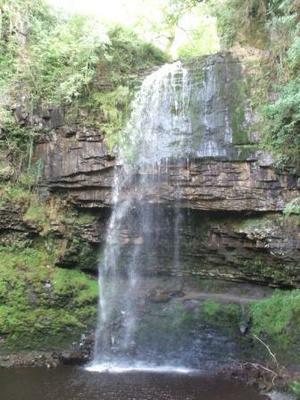 The fall is on National Trust land within the Brecon Beacons National Park near the village of Coelbren. 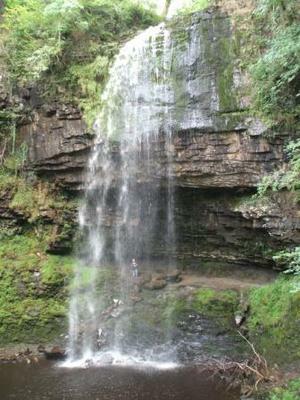 From the car park it is about 1 mile to the fall which is set in a steep wooded gorge. The path is well maintained but steep, to go behind the falls it becomes rough and wet, but once behind the ledge is very wide. If you are feeling energetic you can continue for another couple of miles into the valley where there are two smaller falls.